December 26, 2015 - Like us now! 2015 has been a glorious year for Pakistani entrepreneurial ecosystem. The number of new startups entering the market exceeded almost 300% percent as compared to the last year owing to the launch of incubators, accelerators and business programs in different cities. A lot of local and international VC’s also invested in Pakistani startups. The success of these new ventures is evident from the fact that a lot of these startups have managed to raise investments in 2015 through local and international funding. Trequant is a tele-medic startup showcasing a smart watch coupled with a monitoring device to assist patients with essential tremor (ET) disorder. The tremor quantifying device analyzes the tremor patterns of the patients and saves them on a cloud database to be shared with doctors and family members. It is an effective self assessment tool and also helps in communicating with families and doctors. Trequent is also a Plan9 incubatee and have bagged awards at P@SHA ICT Awards and APICTA. The team is also representing Pakistan at the 13th edition of BlackBox Connect. Healthwire is an online portal for improving access to dental care for patients. After signing up for free, people can search and locate a dentist or dental clinic within their vicinity depending upon the treatment they seek. An appointment can be setup afterwards and patients can provide their reviews once they have visited the clinic. Clikky is an e-commerce site that made its mark in the emerging e-commerce sites in Pakistan. The venture is not re-inventing the wheel of online marketplaces in Pakistan; however it is set to transform the marketplaces through integrating tech features. You can already compare different products and their prices. The users are being attracted for Clikky’s money back policy that ensures that your money is returned instead of a voucher. Wifigen is a smart Wi-Fi marketing and analytic tool that places itself as an interface between customers and brands. Businesses can use Wifigen to provide free Wi-Fi access to their customers, and in return gain authentic social media following, interaction opportunities, and customer data to plan their campaigns and strategies. The startup soon caught attention right after emerging successful at the Plan9 launchpad series. It also received undisclosed funding from a Silicon Valley investor. Createch was initiated at IBA Center of Entrepreneurial Development as a venture offering enterprise solutions including CRM, HR Management, Inventory Management and Point of Sale Systems. In a very short time the company was able to gain local and international customers by providing local transaction support for international businesses. The venture is focused towards providing services for small to medium enterprises at reasonable expense. SoloInsight was initiated after a decade of research. The startup has developed one of the world’s fastest 3D facial and iris recognition algorithms. In addition to that, the startup has developed a wide array of biometric devices that provide access control such as fingerprint scanner, palm readers, facial and voice recognition devices. Smart XS and Biogate are two prominent products that are deployed in over 140 locations across Pakistan. The venture plans to launch Cloudgate in USA which works for areas addressing IoT smart gates. Vida is an e-commerce site, based in San Francisco, that brings together designers and textile manufacturers to create one of a kind items like scarves, blouses, and handbags. The startup was initiated by Umaimah Mendhro, hailing from a small village in Pakistan with a Master’s degree from Harvard University. There are 200 designers working for the startup that has now raised $1.3 million in seed funding from prominent names like Google Ventures, the Valley Fund, Universal Music Group, Beehive Holdings, Slow Ventures and Jesse Draper. Meezaj aims on providing a platform to fashion and textile design students where they can showcase their work on an international level. The local students get mentored by business and fashion executives in a three month cycle, after which their approved designs are displayed on the portal. Meezaj boasts a strong social media following and thus makes sure the designs go viral. The startup has also been providing an opportunity for the artists to collaborate with local e-store. Beauty Hooked is a platform that caters all your beauty needs under one roof. It is an e-commerce platform which connects users with salons and their services. Beauty Hooked also helps users search, discover, review and book beauty appointments online. They have been operational in Lahore for a while and will be expanding to other major cities soon. Being one of a kind online platform for local beauty enthusiasts, Beauty Hooked is emerging successful. Delivery Chacha is a local on-demand delivery service that has grabbed an unusual space in the delivery market by not only delivering the standard food and package delivery but also dropping and picking anything you want from anywhere in Karachi. The startup has been operating successfully in Karachi for a year now. It now aims at expanding to other major cities and integrating tech solutions with their business model. Stallion Deliveries started at the IBA’s Center of Entrepreneurial Development as the first local cash-on-delivery service that pays your cash under 24 hours. The company was evaluated at 20 million rupees, and was acquired by the ARY Group for the logistic support of their Sahoolat Bazaar. 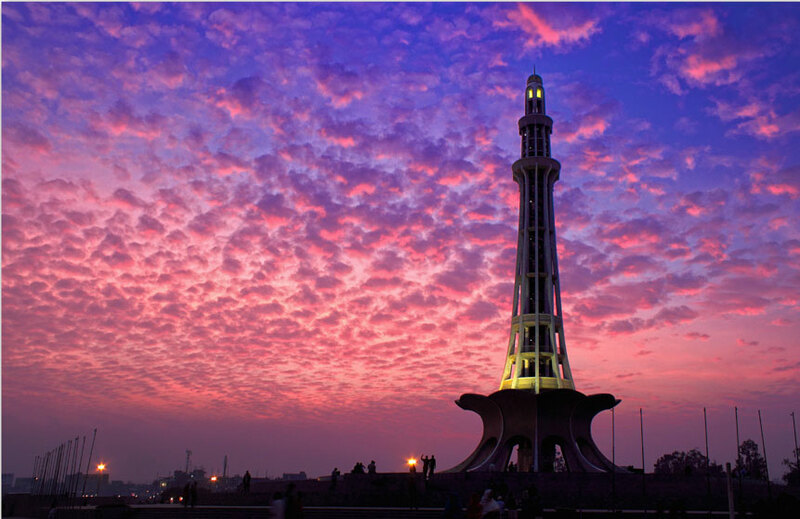 The venture has expanded from Karachi to Lahore, Islamabad and Peshawar. APImatic provides a developer’s tool to help reduce the API interaction burden through automatically generated SDKs in major programming languages such as Java, PHP, Python, and Ruby etc. The founders were pursuing the study of APIs for their PhD thesis at University of Auckland, New Zealand. The venture was New Zealand and Pakistan’s official entry to Blackbox Connect 2015. Print3D Pakistan is a startup providing professional 3D printing, 3D designing, and 3D scanning services in Pakistan using an online platform where a user can buy and order customized 3D printed objects. The startup also have plans to open up a physical store where they will sell 3D printers and 3D printing accessories for Pakistani community to use the technology at home. Incubatee of the Microsoft Innovation Center in Karachi, Print3D Pakistan is striving hard to create awareness about 3D printing in the country. Patari is Pakistan’s solo music streaming website boasting a database of more than 15,000 songs; the biggest ever collection available online in Pakistan, which includes both mainstream music and underground scene.The website has also launched its Android and iOS app and in a recent development has announced payouts for all the musicians whose songs have been available on the service. Patari has also been a Plan9 incubatee. Interacta is an application potentially transforming the way we watch television. Through their mobile application the users can turn their smartphones or tablets into something that can act as a medium between the viewer and the program they are viewing. The startup was incubated in the first batch of LUMS Center for Entrepreneurship and has recently raised funding of US $ 220,000 from Fatima Ventures. 2015 was a glorious year for Bookme that lets you book bus and cinema tickets through their web and mobile app. The startup was an incubatee of Plan9 and PlanX accelerator program. This year, the startup achieved sales worth US $ 130,000 by selling e-tickets, raised angel investment from Etohum and the first round of investment at a valuation of 4 million dollars by Element Ventures . The venture has also launched their services in Myanmar. Travly is a commuting app that lets you book rickshaw rides and check bus routes through an app. Incubated under Plan9 and later at PlanX, Travly came under limelight when they launched their operations this October in Lahore. Just this week, Travly has also recently launched itself in Karachi. The app is currently offering three services: Rickshaw Booking, Bus Trip Timings and Logistic Solutions. AutoGenie is Pakistan’s first on-demand car maintenance service. The venture has been an incubatee at LUMS Center of Entrepreneurial Development and is now a part of PlanX accelerator program. AutoGenie raised $100,000 from Pakistan’s biggest online car portal PakWheels. AutoExpert provides door to door car maintenance services. The venture is establishing its own vehicle pool to provide efficient services to their customers. The startup has also raised funding from DotZero Ventures. Cleanry is Pakistan’s first ever online Home Laundry Service. It aims at providing high class laundry services to customers’ doorstep. The startup is currently operating in Karachi and has raised investment for its seed round through DotZero Ventures. The Wedding Planit is Pakistan’s first online solution for wedding services. The service is more than an event management site and helps you decide venue, decor, photography, food and all the wedding shenanigans under the budget you enter. The users can also compare rates of various vendors on the site. The startup has been an incubatee at the Nest I/O, based out of Karachi and is working to expand its roots to Lahore and Islamabad.